Four people were killed in the Islamic terrorist attack. 7 are in critical condition. ISIS have claimed responsibility for the terror attack in London which left four people dead and injured 29 . The Amaq News Agency, which is seen as the terror group’s official press service, report the attacker was “a soldier of Islamic State”. ISIS and Islamist websites celebrated the “blessed” deadly attacks on Wednesday. The UK was hit with a serious terrorist attack on Wednesday. Four people are dead. 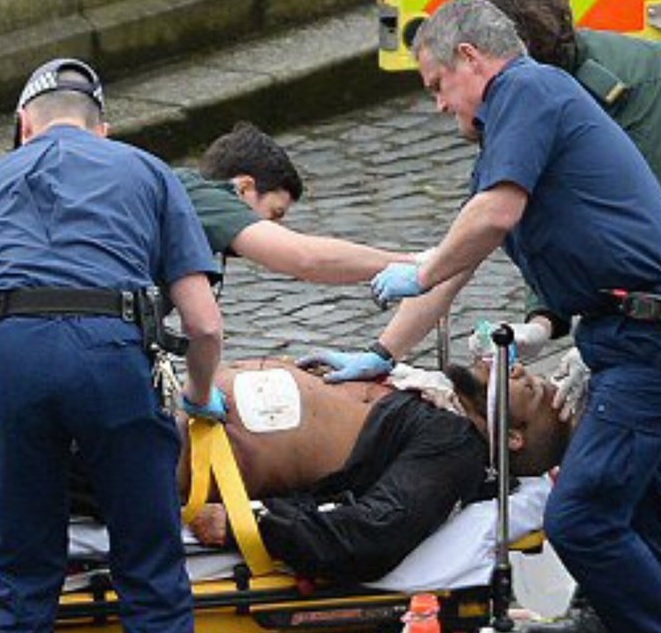 There was a knife attack outside of Parliament and a terrorist mowed down several pedestrians with his car nearby on Westminster Bridge. Here is the first photo of the bearded terrorist. Islamists celebrated the London attack.